When you don’t know how to negotiate a new career path, having an experienced, supportive mentor on your side can make all the difference. 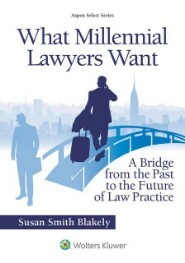 Susan Smith Blakely provides law career counseling services to individuals and groups throughout the different stages of their professional development. If you or your friends are pre-law or law school students, Susan will advise you as you make crucial decisions about your education and your future. It is never too early to consider your career path, or your second career path, in terms of professional realities and changing social pressures. Susan’s approach to law career counseling includes guiding you through a maze of choices and teaching you how to focus your efforts to achieve your goals—with everything from deciding where to go school, where you want to practice, and your area of specialization. 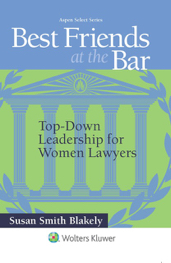 Ms. Blakely has served as a mentor to young lawyers throughout her career and she continues to consider mentoring young lawyers and providing law career counseling as a crucial part of her contribution to the legal profession. After graduating from law school and beginning to launch careers, young lawyers are often overwhelmed by conflicting expectations in their profession. Lack of foresight and planning and the challenges of achieving work-life balance contribute to low retention rates at law firms throughout the U.S. 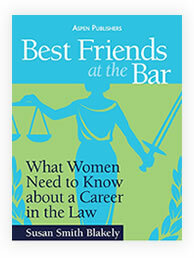 In her law career counseling, Ms. Blakely offers honest and up-front career advice about the challenges young lawyers face at the beginning of their legal careers based on her own experience and on extensive research. 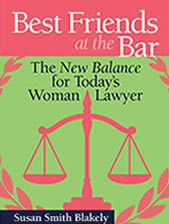 She is a gifted communicator who excels at sharing insights from the interviews with other women and men in the law which informed her books. Contact Susan to discuss your needs and how she can help you or your group with customized law career counseling services.